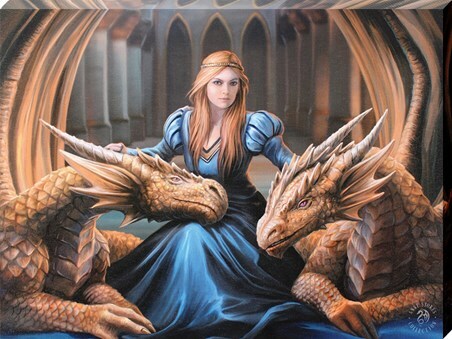 Enter a new realm of magic, dragons, and princesses with this fantastic Anne Stokes canvas print. 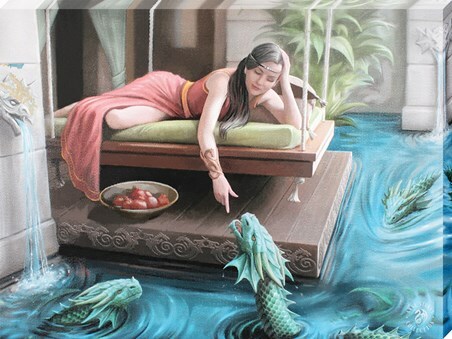 A reclining princess rests on a hovering platform, surrounded by tropical-looking waters. 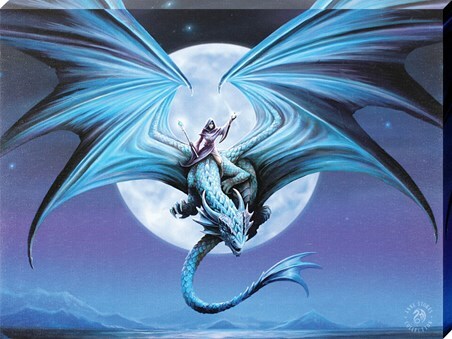 She reaches out to a majestic emerald dragon, swimming in the serene pool with two more of the beautiful mythical creatures. Dragon head water fountains and lush greenery line the pool, portraying the most beautiful setting. 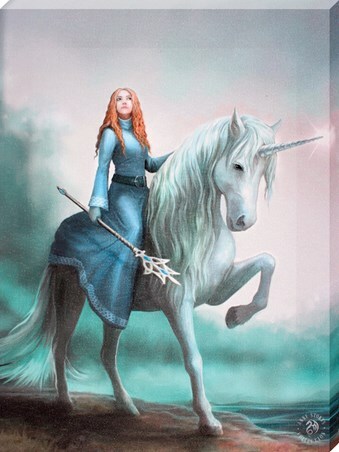 This artwork really is mythical perfection! 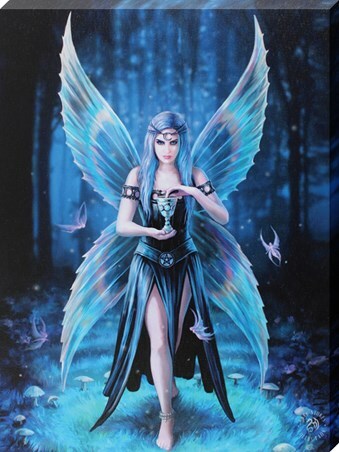 High quality, framed Royal Court, Anne Stokes canvas print with a bespoke frame by our custom framing service.